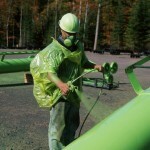 EnergyGuard Acrylic Elastomeric Clear Coat is a water-based clear coat that dries to a waterproof membrane. Skylights, masonry, concrete, brick, plaster and stucco.Protective finish over elastomeric coatings . Provides a seamless, durable, clear membrane. 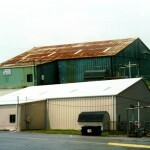 Extends the life of fiberglass skylights. Provides a water resistant film over brick, stucco and masonry surfaces. Enhances dirt pickup resistance when used over elastomeric roof coatings. Before application, any loosely adhered coating must be removed and bare surfaces must be prepared, ;cleaned and checked for compatibility. EnergyGuard Acrylic Elastomeric Clear Coat is ready to use. Thinning is not recommended. Spray: Airless Sprayer , 1gpm, 3,000 psi, .017 tip. EnergyGuard Acrylic Elastomeric Clear Coat is available directly from epdmcoatings, from authorized distributors and online. 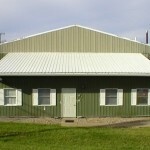 Contact epdmcoatings for referral to a local epdmcoatings Sales Representative or visit our website. 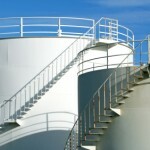 Pricing information can be obtained from epdmcoatings Sales Representatives. 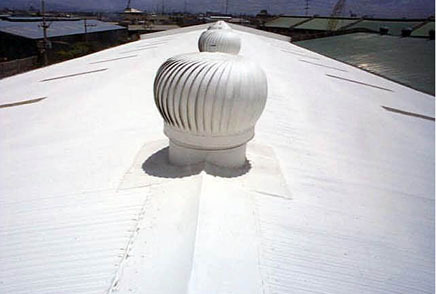 Periodic maintenance of epdmcoatings Roof Restoration System ensures extended service life and maintains reflectivity. Contact epdmcoatings Coatings for Technical Support. Additional information, product literature, brochures and specifications are available. Additional product information is available from epdmcoatings. Application Temperature: 55° – 100°F. Less than 85% relative humidity. Dry Time: Dry to touch in 4 – 6 hours, 12 – 24 hours to recoat. Caution: EnergyGuard Acrylic Elastomeric Clear Coat is a water-based product which will freeze and become unusable at temperatures below 32°F. Suspend all application if conditions prevent a complete cure before sunset, rain, fog, dew or freezing temperatures. epdmcoatings must be completely dry before exposing to water or foot traffic. Keep epdmcoatings containers covered when not in use. Dispose of all containers in accordance with state and local environmental regulations. Keep away from children. If ingested, DO NOT induce vomiting. Call Physician immediately. Product information contained herein are presented in good faith and believed to be reliable. They do not constitute part of our terms and conditions of sale. It is also not a guarantee, either expressed or implied, that the data are correct or that products described are merchantable or fit for a particular purpose as methods of use are beyond our control. Customer should determine the suitability of our materials and installation r:ecommendations before usage. Manufacturer’s sole responsibilty shall be to replace that portion of any product that proved to be defective.